By Karissa Straughen. Images supplied. 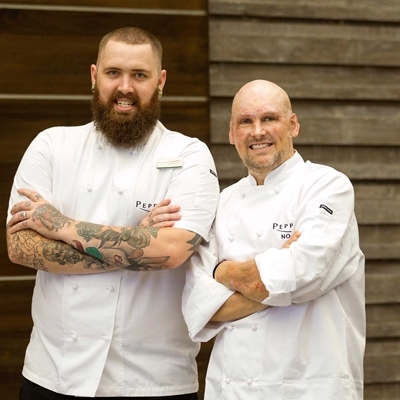 This month, everyone’s favourite award-wining Chef, Curtis Stone went on a journey through Western Australia, from farms to providores and vineyards, to find the best produce Australia has to offer. One of his favourites? Australian beef! Curtis Stone and Stuart McCormack on quad bikes in West Pinjarra. "My trip back on home soil was nothing short of amazing. 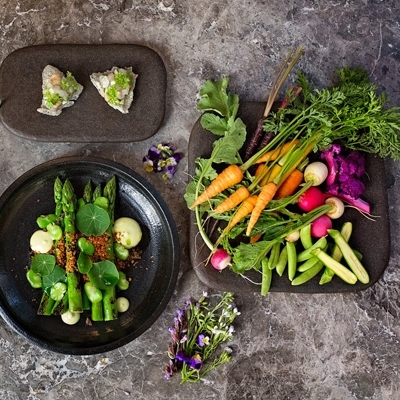 The people and the produce inspired me to create three easy and delicious beef dishes that acknowledge and appreciate the unique Western Australian terrain, our quality Aussie produce and the celebration of Summer in this beautiful country. 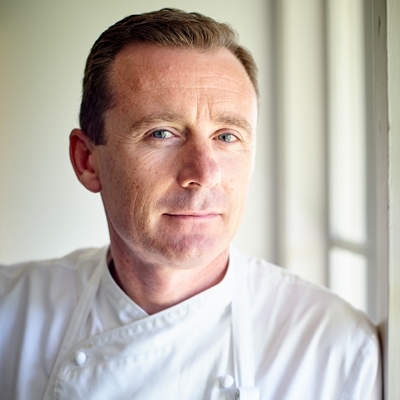 I mean it doesn’t get much better than Aussie beef on a Summer’s night does it?” says Curtis. Curtis Stone and Annabelle Coppin. 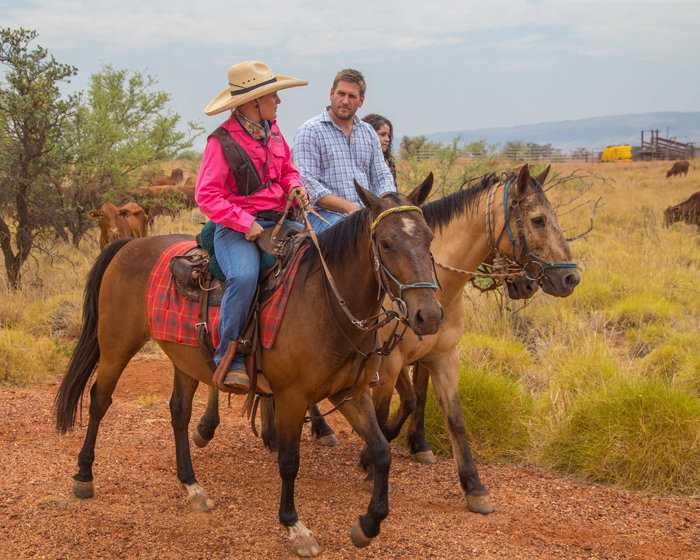 First stop on the road was Yarrie Station in The Pilbara, where Curtis met producer Annabelle Coppin. Yarrie Station, a 250,000-hectare property, has been in Annabelle’s family for over 100 years and they run 2,500 head of breeder cattle. As owner and station manager, Annabelle is dedicated to her highly skilled and passionate team, who work to promote Yarrie’s core values of ‘respect and accountability’ and strive to improve animal welfare practices and sustainability. Curtis Stone and Stuart McCormack. The next stop saw Curtis meet Stuart McCormack in West Pinjarra. 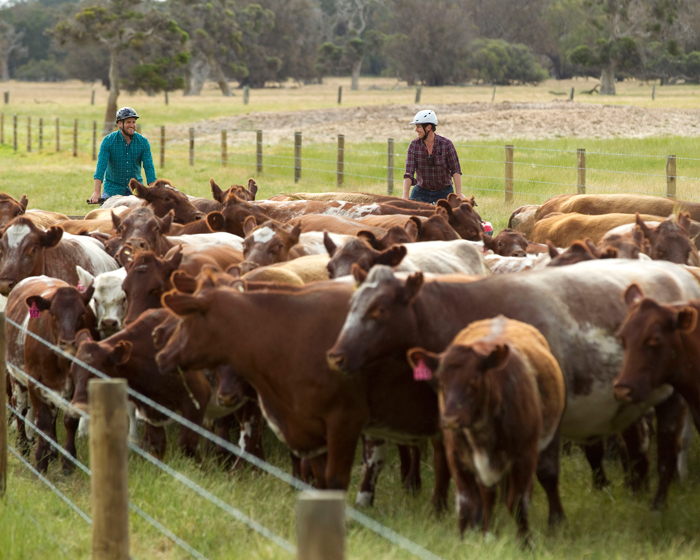 Stuart’s 3,500 acre Nirimba farm currently holds just under 1,000 head of Poll Shorthorn, Angus and Charolais cattle. 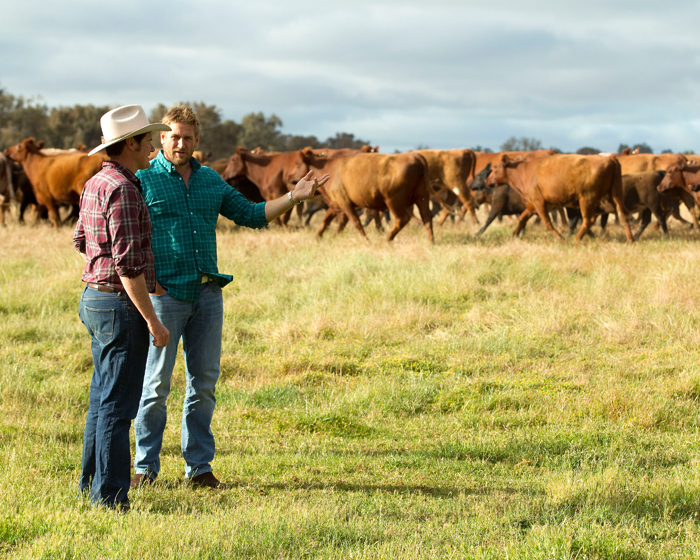 Stuart is a third-generation Western Australian cattle farmer who is passionate about sustainable farming practices, with an aim to leave the land in a better place for the next generation and ensure that animal welfare is always front and centre of their daily work. 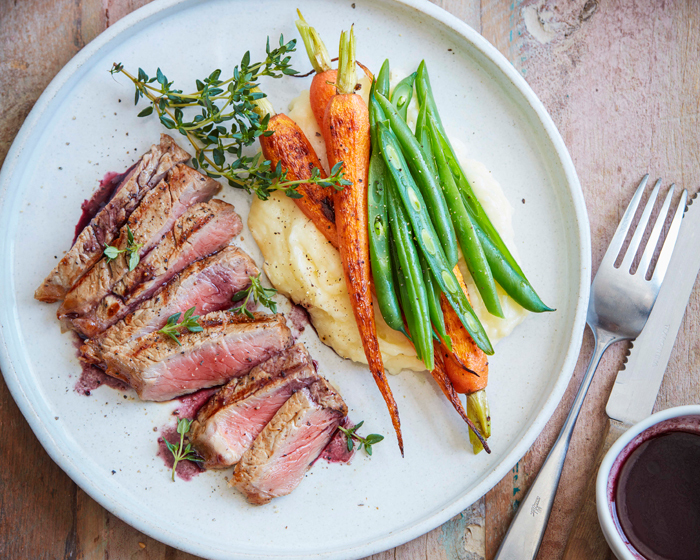 Of course, with a wine region like the Margaret River, WA couldn’t be celebrated without it, and Curtis’ pan-seared porterhouse steak with red wine sauce does just that. 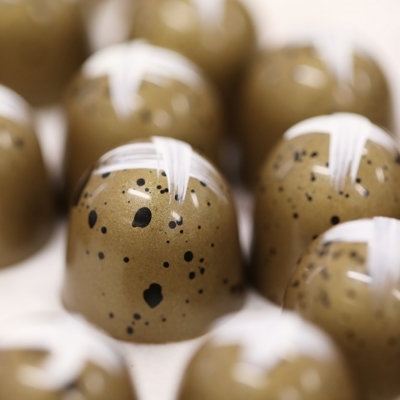 Simple yet elegant, this dish is sure to impress. 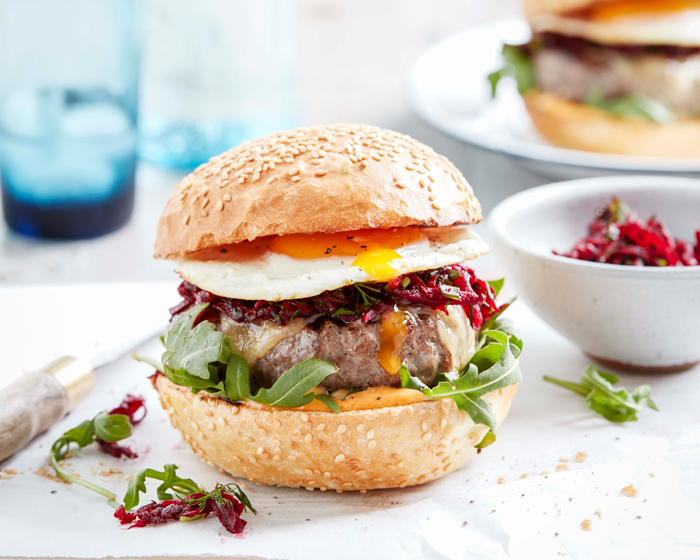 An Australian classic with the Midas touch, Curtis’ second recipe is a deliciously messy beef burger featuring the iconic addition of beetroot and egg. 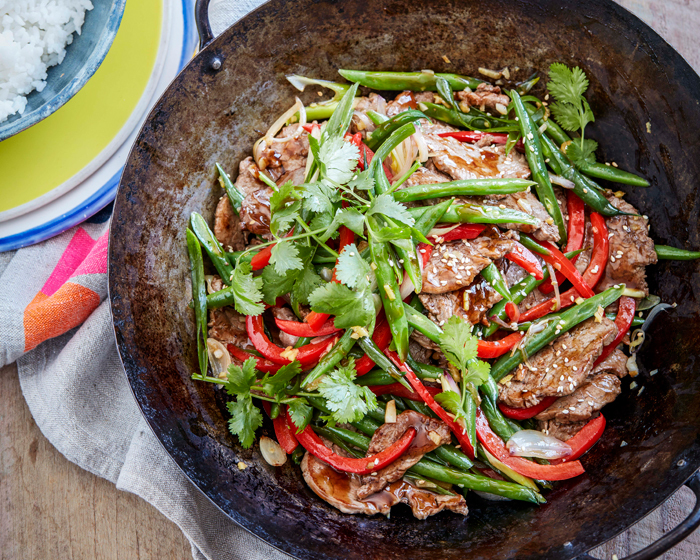 Great produce doesn’t mean laborious cooking schedules either, as Curtis kicks off Summer with a fresh steak and green bean stir-fry, the perfect quick and tasty dish for those hot Summer nights.